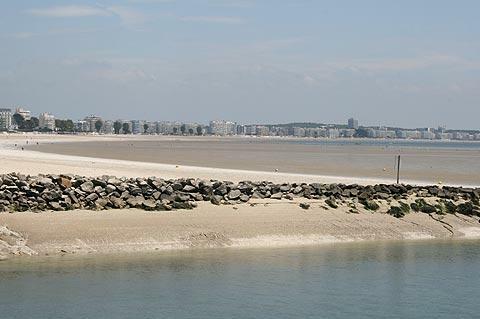 La Baule is a very popular and quite upmarket seaside resort on the Atlantic coast, to the north-east of France in the Pays de la Loire region. The town was founded at the end of the 19th century, when it gained a rail link with the goal of establishing itself as a seaside resort. 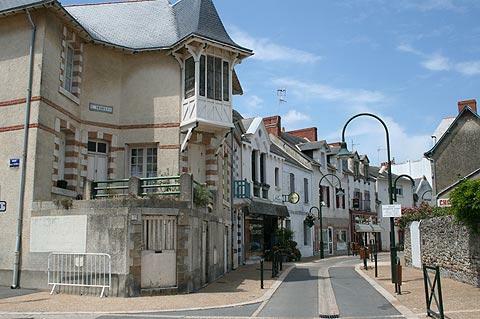 If you are spending a few days here you should first visit the La Baule Tourist Office on Place de la Victoire to find out about all the many activities as well as the events and concerts that are held in the resort during the summer. Of course, all the seaside activities you would hope for are here. 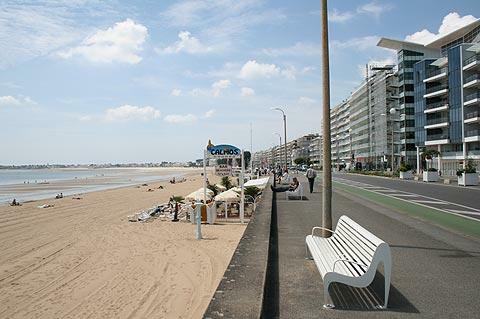 The main attraction of the La Baule resort is its long sandy beach. The beach is very long at almost eight kilometres and has nice fine sand. The beach is marketed by the town as being 'the best beach in Europe' - whether you agree will depend on what you are looking for in a beach, but it is exceptional. The beach is gently sloping, so ideal for children as well as adults. The beach reminded me of our favourite beach in south-west France, at Arcachon, with La Baule also being almost obsessional about beach cleanliness: the entire beach is cleaned every night. 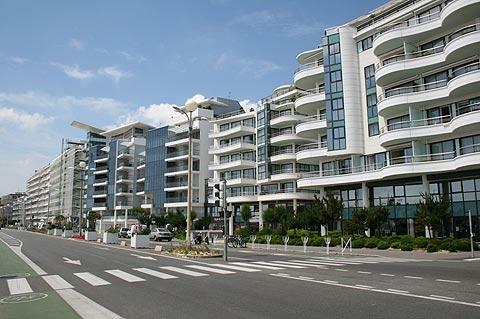 The beach is backed by the expensive hotels and apartments that are typical of La Baule and attracts a sophisticated, wealthy crowd - almost as if it were a little piece of the Cote d'Azur transplanted to the north of France. There are numerous restaurants and all other facilities close to the beach: of course, there are lots of seafood restaurants but you will also find also a wide range of other choices! 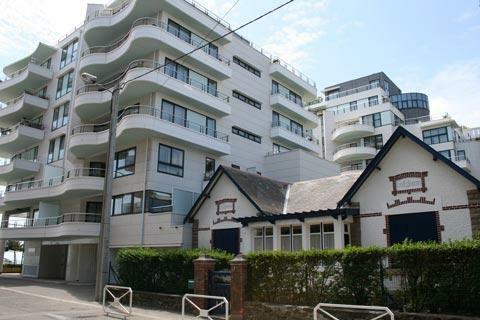 Be sure to spend a little time away from the beach to explore the streets behind the sea facing apartments in La-Baule. 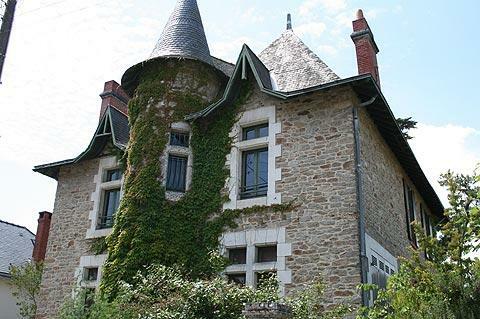 In these streets there are a great number of impressive villas, built 100 years ago when the town was first established that are very interesting to see, almost all individual in design and many now surrounded by attractive gardens. The Tourist Office arrange guided tours of this historic part of the town. La Baule is also a 'ville fleurie' and makes a good effort with its public parks and gardens. In and around La Baule, as well as the many activities on the beach you will also find a casino, golf courses and a horse-racing track. For a smaller scale seaside resort we liked the beach at nearby Batz-sur-Mer, also part of the Cote d'Amour. 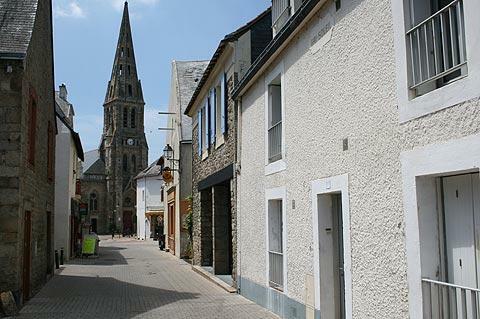 For a town with more historical interest we suggest that you visit Guerande, a medieval fortified town a few kilometres from La Baule.